TI Fluid Systems plc, a leading global manufacturer of automotive fluid storage, carrying and delivery systems for light vehicles announces its 2018 results. • Successfully executing our hybrid electric vehicle (“HEV”) and electric vehicle (“EV”) strategy creating organic growth opportunities. “2018 was a great year for TI Fluid Systems. Despite a slight softening in global light vehicle production growth, we achieved strong organic growth, solid profit margins and free cash flow generation. The excellent progress delivered in executing our HEV and EV strategy in 2018, as well as our approach of continued and disciplined organic growth has positioned the Group well for 2019 and beyond. 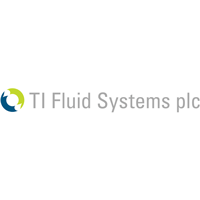 TI Fluid Systems plc is holding a presentation to analysts and investors at 09:00am UK time on 20 March 2019 at the offices of FTI Consulting, 200 Aldersgate Street, London EC1A 4HD. Analysts wishing to attend should contact FTI Consulting to register. Analysts unable to attend in person may listen to the presentation live by using the details below. Questions will only be taken at the event. Click TIFS for the full archive.